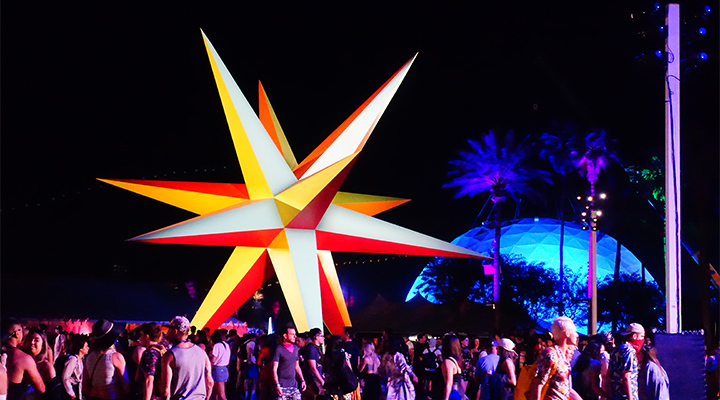 Between the music, incomparable people-watching and art installations that dominate the vistas at this remote desert event, the Coachella Valley Music and Arts Festival has always been an immersive experience for fans. 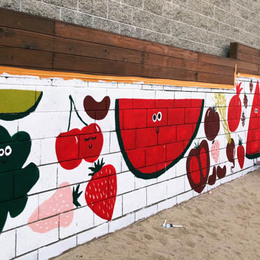 Each year, the festival commissions an international cast of artists to conceive original, site-specific works for its vast campgrounds. The 2018 commissioned art included pieces to contemplate, pieces to walk through and, uniquely, three pieces that blend the physical and virtual worlds. 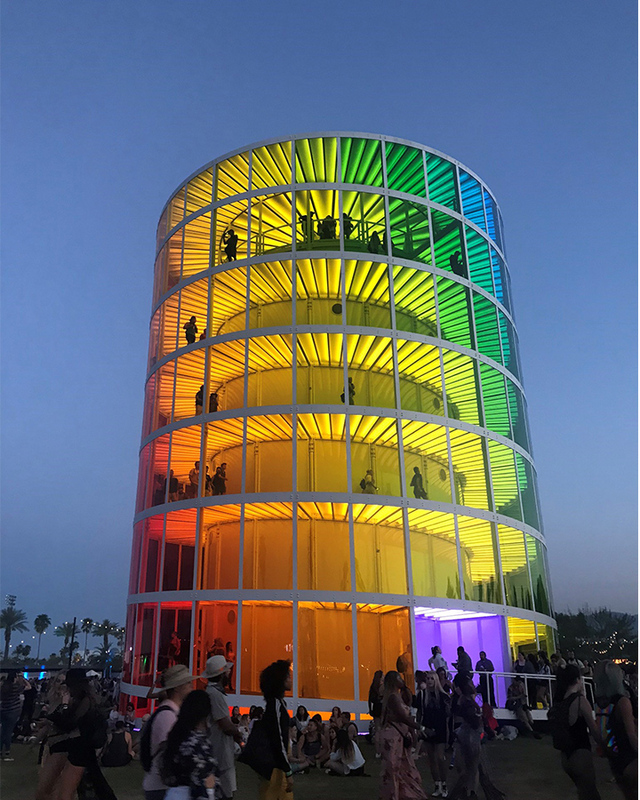 A seven-story observation tower with windows in all colors of the rainbow, Spectra could be seen from nearly anywhere on the grounds of the desert festival, and stepping inside provided panoramic views and a respite from the heat since it was air conditioned. 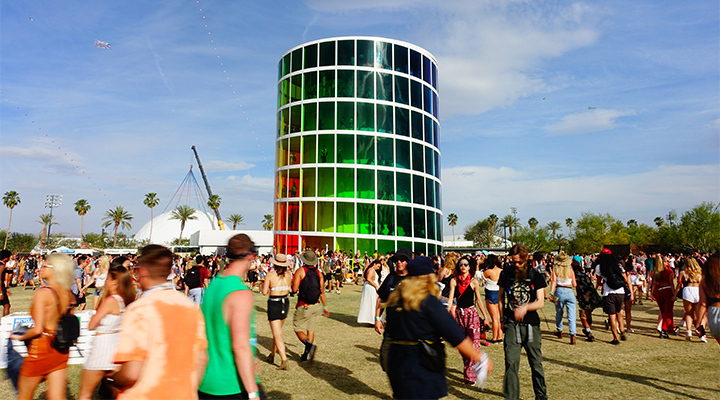 NEWSUBSTANCE, the British firm that designed “Spectra,” transported the structural steel and acrylic window panels by ship, plane and train and assembled them on site, a process that began March 20 and ended hours before the festival gates opened Friday. 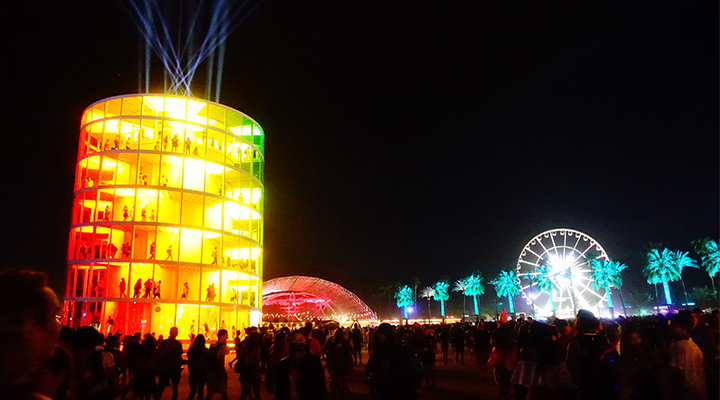 At night, more than 6,000 feet of LED tape lit up the structure, silhouetting the viewers inside. 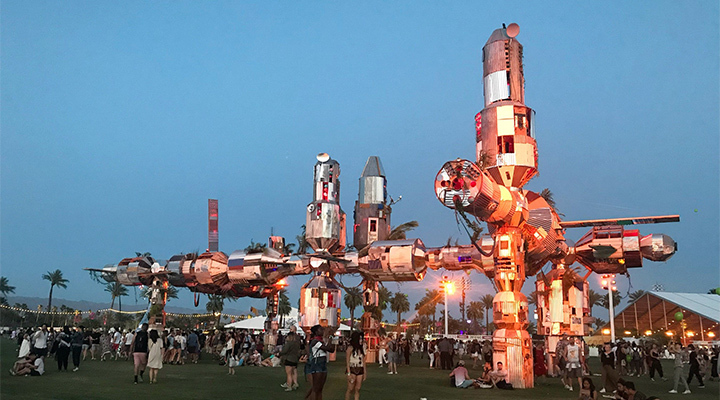 Described in Coachella literature as a “Third World space station,” artist Simón Vega’s sprawling modular installation is 150 feet long, 80 feet wide and 50 feet high. Based on the Soviet space station Mir, the piece’s components capture the atmosphere of shanty towns in El Salvador, where Vega is from. Materials that look scavenged are combined with scenes that represent people in “happy poverty” but also highlight economic inequality. 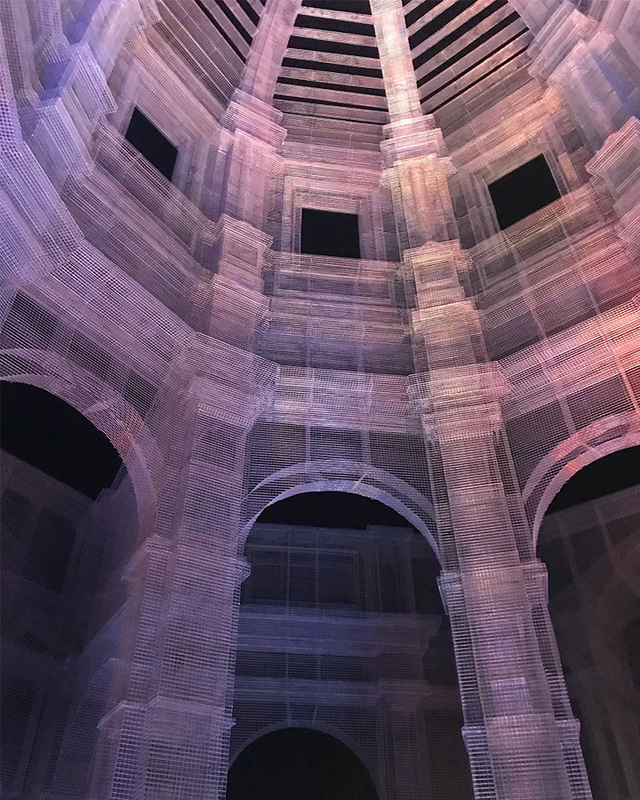 Artist Edoardo Tresoldi’s composition, made of 11,000 square meters of wire mesh, consists of three copies of the same classical-style building in graduated sizes. 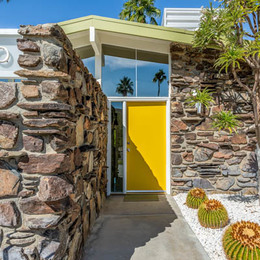 It exists and yet seems almost not to, as if drawn by an architect’s pencil on the air. 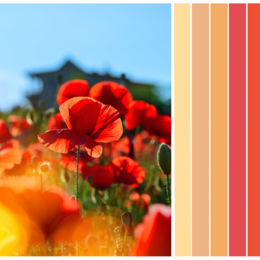 The work explores the relationship between the human being and the landscape. 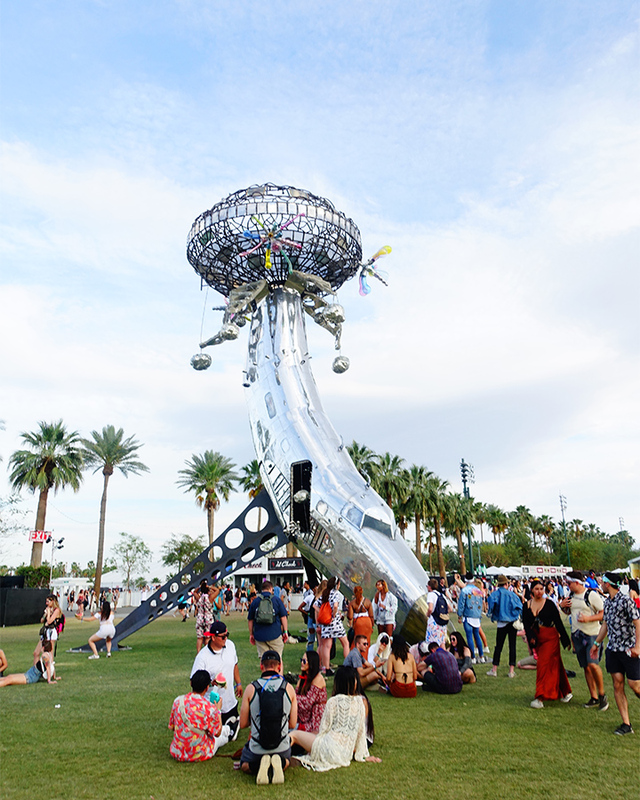 This towering piece grows from a jet fuselage that artist Randy Polumbo repurposed. It balances on its nose and two wing-like projections, and the skyward-pointed tail is peeled open and topped with a skeletal flying saucer-like object. Dangling spheres that look like misshapen disco balls flash as they catch the light. Multi-colored hand-blown glass bulbs bloom near the top of the sculpture. Artists Roberto Behar and Rosario Marquardt – the team behind R & R Studios – created “Supernova,” a photo-worthy construction with a deeper message. The multi-colored, many-pointed star made of wood and metal sheeting is 40 feet in diameter and painted in pastel orange, yellow and blue. 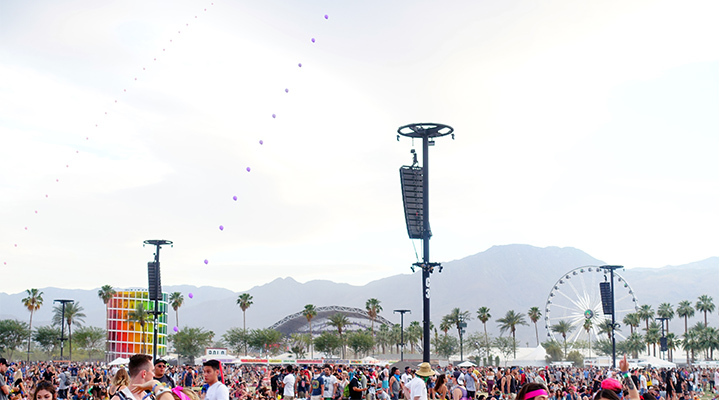 Coachella takes place annually in the middle of April, with this year on April 13-15, and April 20-22. 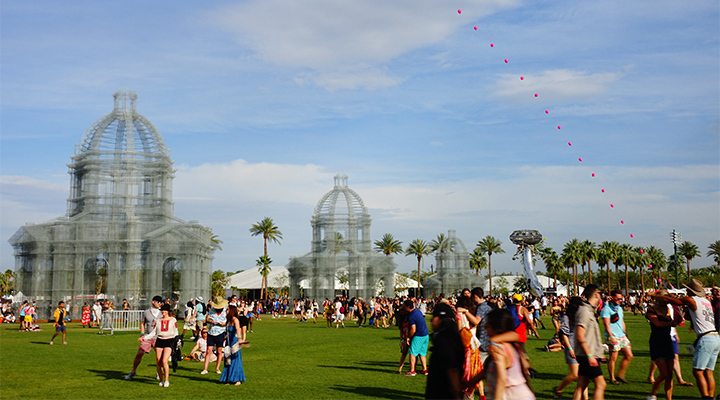 For more information on Coachella and it’s incredible art installations, visit coachella.com. 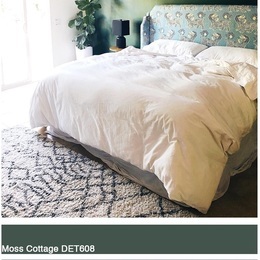 To see our color takeaways from Coachella, visit us here.